Although born into the British aristocracy, the Honourable Sophia Lucienne Rochford was raised in obscurity first in a French convent and then a Parisian brothel. At sixteen, she is restored to her rightful place as the daughter of the Rochford family, but a devastating betrayal by her father fires her determination to seek wealth and independence at any cost. Ignoring the existence of love, Lucy succeeds in her aim, but makes many tragic mistakes before she comes to terms with her true self. Earthy, cruel and beautifully told, this is the gripping sequel to The Chatelaine. Claire Lorrimer began her writing career as a child. She was encouraged and influenced by her mother, Denise Robins, author and founder member of the Romantic Novelists Association. On leaving school, Lorrimer got a job on the editorial team of a woman's magazine. During the Second World War, serving as a WAAF officer, she began to write light romantic fiction for Woman's Illustrated. Her literary work later included some sixty light romantic novels. 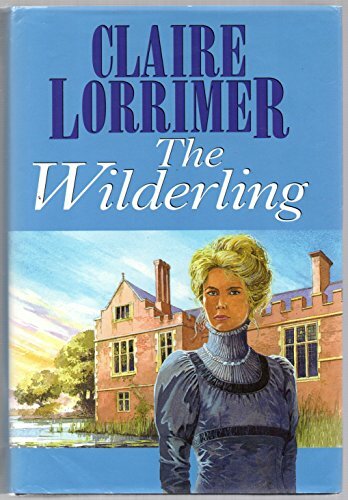 Meticulously researched, Claire Lorrimer's historical fiction is set in many different eras and often highlights the situation of women. She lives in rural Kent and still writes stories and plays for her friends and her eight grandchildren.